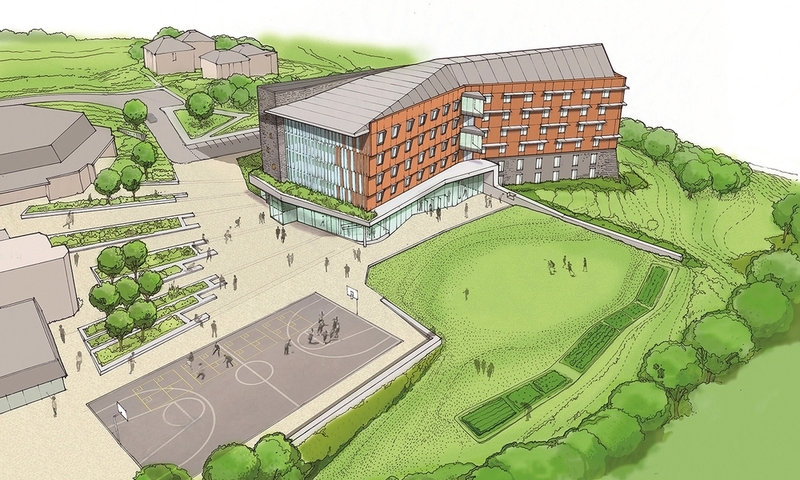 This design of a new Residence Hall for the Model Secondary School for the Deaf at Gallaudet University intensifies social and spatial exchanges at multiple scales: between the new building and the existing campus, between interior and exterior programs, and between individual and collective spaces within the building itself. LTL worked closely with Gallaudet—the only liberal arts university dedicated to the education of deaf and hard-of-hearing individuals—to create a design tailored to deaf cognitive, linguistic, and cultural ways-of-being. 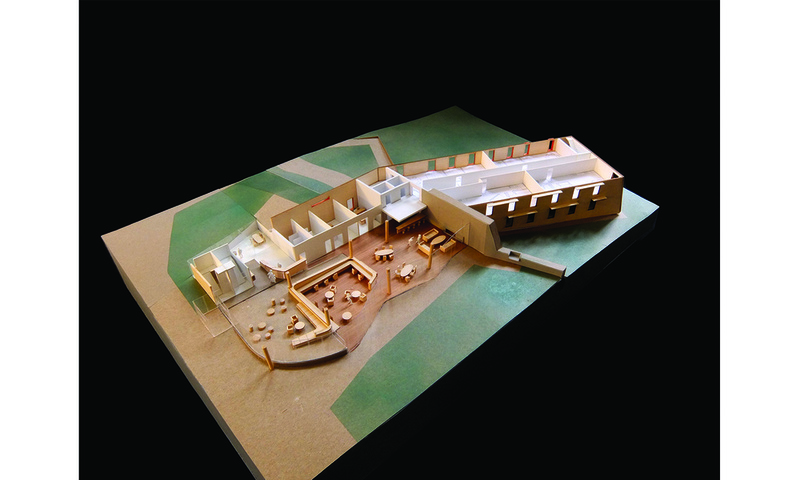 LTL's proposal defines a series of carefully orchestrated outdoor spaces which visually and programmatically connect the new building to the existing campus. Taking advantage of the sloping site, the building’s ground floor is sheltered beneath an awning which is formed as an extension of the surrounding natural terrain. 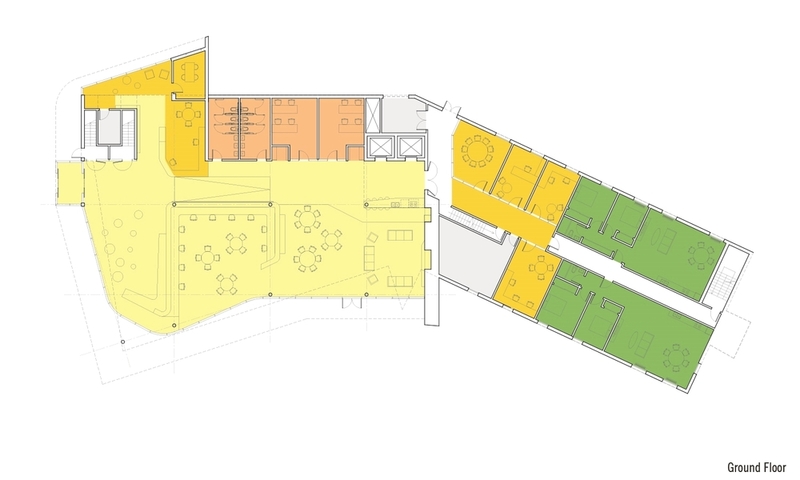 The majority of the ground floor comprises a single open room that accommodates the collective program of the dormitory: a central entry and lounge, a communal study area, and a living room that incorporates a hearth and student kitchen. Level changes, integrated furniture elements and a topographic ceiling define programmatic zones without compromising visibility crucial to communication and interaction among students and staff. Above the level of the awning are four floors of dormitory rooms. 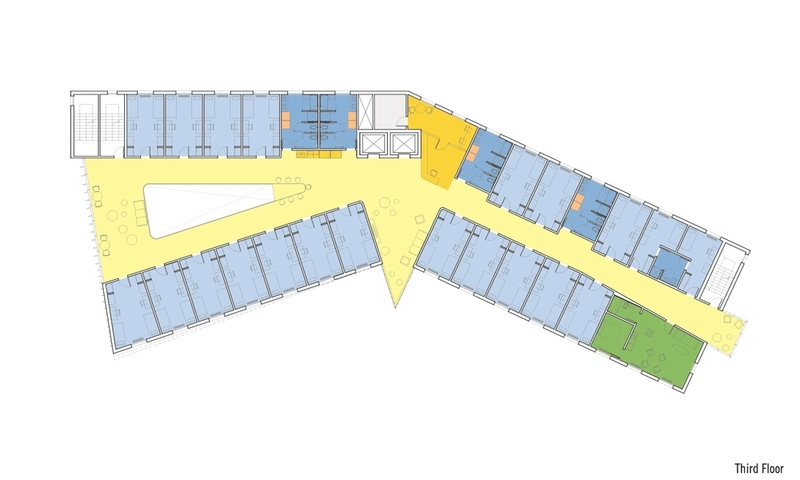 Starting with the efficient layout of a double loaded corridor, the hallways wedge open to create a series of gathering and study spaces of varying scale and configuration. The corridor bends at the middle of the building, deflecting to optimize views and reduce the perceived length of the hallway. At the west, an expansive double-height room provides visual exchanges between floors while framing the iconic landmarks of the Capitol and Washington Monument, linking the dormitory to the city beyond.